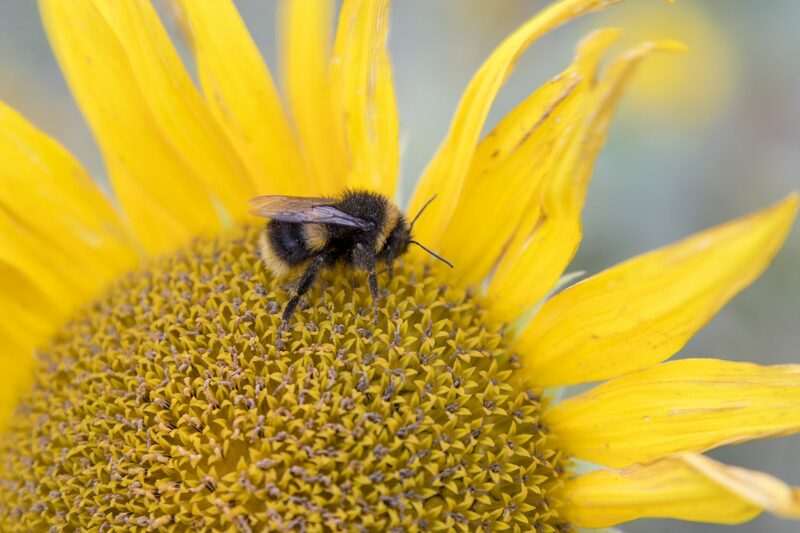 A project that reverts to traditional farming methods last used widely in the 1940s has transformed a stretch of Welsh coastline into a haven for rare animals, birds and wildflowers – boosting numbers of some by 300 per cent. 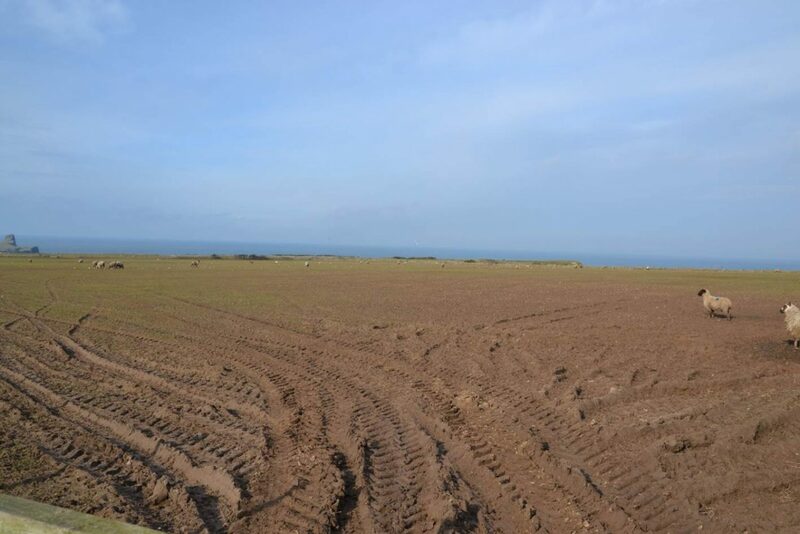 The ‘strip field’ farming involved planting flower crops alongside more traditional arable crops and wildflower meadows on 45 hectares of farmland near Worm’s Head in Rhossili. Two years on, the area now boasts an array of rare birds, such as the grasshopper warbler, common linnet and hen harriers. Small blue, grayling and wall brown butterflies have also returned to their former habitat. Now, those behind the trial hope it could be replicated by more intensive farms. Four National Trust rangers and 80 volunteers spent the last 12 months recreating the 13th century patchwork of fields on The Vile, creating 2,000 metres of banks and hedges. They were removed after the second world war in favour of more intensive farming methods. Instead of six fields, there are now 17, which have been planted with flowering crops including 400,000 sunflowers (pictured right), poppies, lavender and lupins. The flowers punctuate crops of millet, wheat, oats, buckwheat, spelt, linseed and barley in ribbons of colour. A further 7.5 hectares have been left as wildflower hay meadows with grasses and flora including oxeye daisy, yarrow and bird’s-foot trefoil. A key advantage of the strip system – and using banks to divide fields – is deflecting coastal wind. This protects crops and means that returning wildlife can forage in the sheltered microclimate created by the restored banks. It also prevents any moisture from being wicked away, instead holding it in the fields. To help encourage wildlife, the team actively leave behind some of the crop. 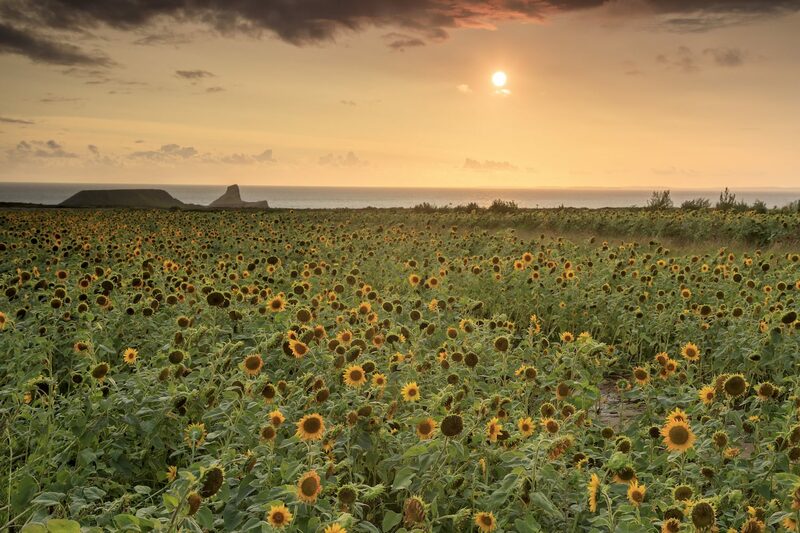 The remaining sunflower seeds, for example, will feed overwintering birds on the coastline. “What we’ve actually created is this amazing giant bird table,” added Hipkin.